Fig. 1. EETAC L129B. Power supply, function generator, multimeter, oscilloscope, frequency counter, and personal computer. Fig. 2. 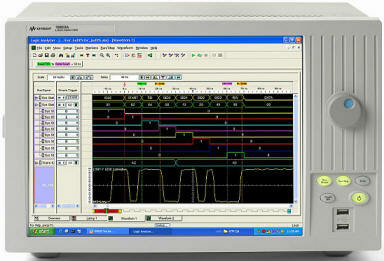 16802A 68-Channel Portable Logic Analyser. Keysight. Fig. 3. CX3300. The dedicated Current Sensors measure from 100 pA level dynamic current up to 10 A with a maximum of 200 MHz bandwidth. Keysight. Fig. 4. B2912A. 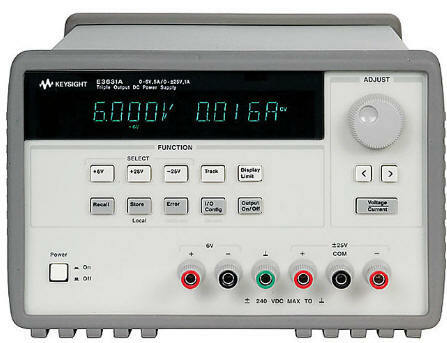 Precision Source/Measure Unit, 2 ch, 10 fA, 210 V, 3 A DC/10.5 A Pulse . 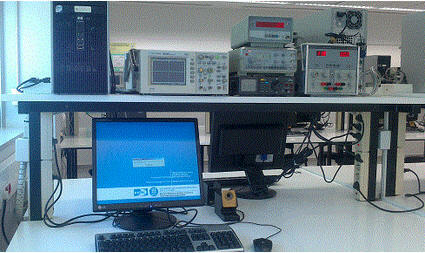 Keysight. Fig. 5. 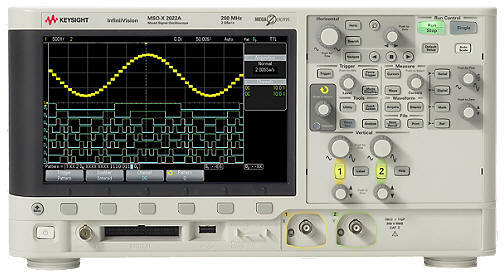 KeySight 34410A. Digital Multimeter, 6Â½ Digit. Fig. 7. DSOX2012A Oscilloscope: 100 MHz, 2 Analog Channels. KeySight.